LATEST: Police have confirmed the death of a 58-year-old Croftby man following this morning's three vehicle traffic crash near Peak Crossing. 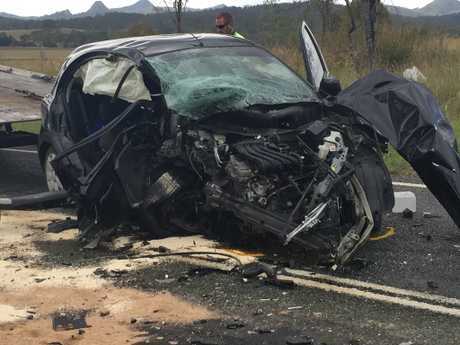 Preliminary information suggests a car travelling on Ipswich-Boonah Road, approximately 4.5 kilometres outside the Peak Crossing township, collided with two other vehicles travelling on the other side of the road around 7.30am. One man died as a result of the crash, with four women also transported to the Princess Alexandra Hospital - three with serious injuries and the other with minor injuries. 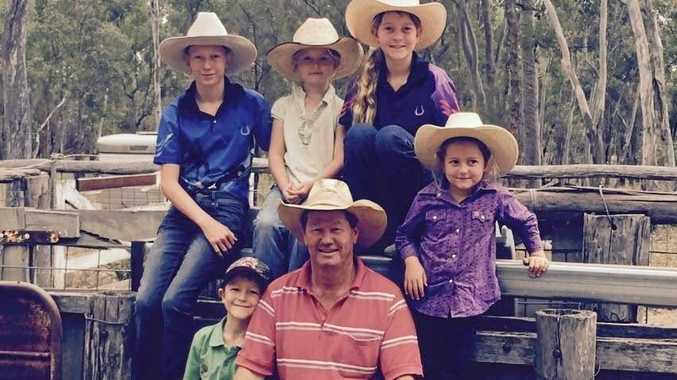 It is believed they are all in a stable condition. All of the vehicles involved have now been removed from the road, and Ipswich-Boonah Road has now been re-opened to traffic. One dead in horror three-car crash: One person has been killed in a horror three-vehicle crash near Ipswich this morning. UPDATE 10AM: Ipswich Forensic Crash Unit is investigating a three-vehicle traffic crash in which a man has died at Washpool this morning. Initial information indicates the crash occurred on Ipswich Boonah Road, about five kilometres south of Peak Crossing around 7.30am. A male driver of one of the cars was declared deceased at the scene. Four women were transported to the Princess Alexandra Hospital, one in a critical condition, two with serious injuries and one with minor injuries. The road remains closed with diversions in place north at the intersection of Limestone Ridge Road and south at the intersection of Milbong Road. EARLIER: A person has been killed in a horror three-vehicle crash near Ipswich this morning. Emergency services were alerted to the crash on Ipswich-Boonah Rd at Peak Crossing at 7.30am, about 4km south of the township. One person was killed instantly in the crash. Police initially reported that there were two fatalities. That information has now been updated to one dead, one critical and two seriously injured. The gender and age of the deceased person is not known at this stage. There are currently traffic diversions in place between Limestone Ridge Rd and Milbong Rd. Police are asking motorists to avoid the area. Police at the scene of a fatal traffic crash at Washpool on Friday morning.